With so much murder and destruction of infrastructure around the world from Syria to Ukraine to Venezuela and Nigeria, I want to highlight two recent projects to build new infrastructure in order to bring economic growth and prosperity to some of the least developed regions of the Earth—Eurasia, the vast land space between Russia and China. Two projects have just confirmed they are going ahead. The Moscow-Kazan-China high-speed railway via Kazakhstan is one. 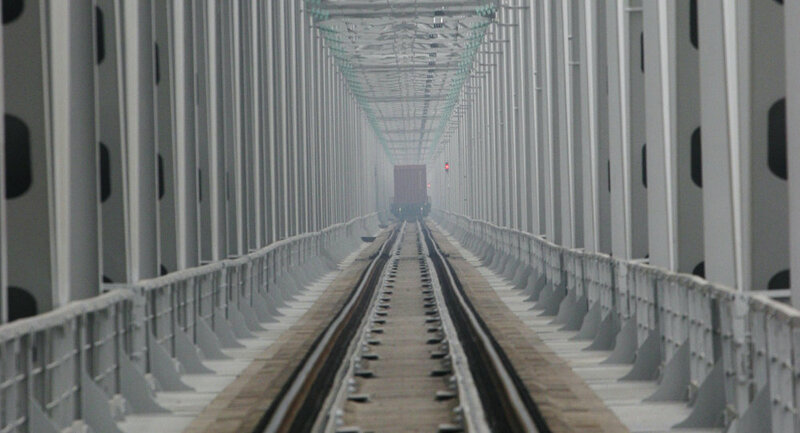 The second is a major railroad bridge over the Amur River to China. Both in and of themselves are not transformational. In context of the broader multi-trillion dollar infrastructure project, One Belt, One Road or the Economic New Silk Road as it is also called, the two projects are vital links in creating the next world economic center of growth for at least the next century. On June 3 Alexander Misharin, First Vice-President of the state-owned Russian Railways announced that the New Development Bank (NDB) of the BRICS countries, formally established in 2015, after hearing the presentation from Russian Railways, has agreed to provide partial financing of up to $500 million for the Moscow-Kazan high-speed railway project. China has recently confirmed plans to provide a 400 billion-ruble or $6 billion loan for Russia’s Moscow-Kazan section of what will be a far greater Moscow-Beijing high-speed rail link of the One Belt, One Road infrastructure. China will also give equity financing of 52 billion rubles and an additional $1 billion to complete the project. 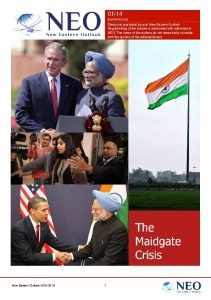 As Misharin noted, the agreement from the BRICS bank, NDB, is essential. Under their rules, the second new Asian infrastructure bank, the AIIB or Asian International Infrastructure Bank, also created last year on an initiative from Beijing to aid in financing the estimated $7 trillion Asian infrastructure deficit in coming years, which has far larger lending resources, cannot be the first lender as a matter of policy. This latest NDB decision to co-finance the Moscow-Kazan leg of the eventual Moscow-Beijing high-speed rail link, a core part of the New Economic Silk Road project, all but assures that the governments of China and Russia later this year will formally approve the project on a government level. In May 2015 the two state railways approved going ahead with the Moscow-Kazan leg and a Chinese railway construction group, China Railway Group Limited, along with two Russian companies, formed a construction consortium to complete the link. The Moscow-Kazan high-speed link will reduce travel time from 14 hours to 3 ½ hours and open entire new economic possibilities across its route. It’s due to be completed in 2018. The project was initially proposed by Misharin in 2009 in a vastly different economic and political context by Misharin. Then there was no China One Belt, One Road concept to link to and no Western economic sanctions on Russia compelling her to take a closer look at her eastern neighbors, especially, China. Another related development will add considerable expertise and financial backing and professionalism to the new BRICS bank. On June 8, the New Development Bank (NDB) signed a strategic cooperation agreement with China Construction Bank, China’s second-largest state bank which will give NDB a framework for collaboration in several areas including bond issuance, joint financing and information exchange. China Construction Bank will also support the BRICS bank with adequate credit lines and a commitment to invest in the new lender’s first financial green bonds. The CCB is the bank that has been deeply involved in financing China’s vast domestic high-speed railways construction and other major infrastructure. In brief, the NDB is taking on serious substance as a lender. Russia has announced further that it has begun construction of a bridge over the beautiful waters of the Amur River which separates Russia from China as a border. The Amur River is world’s tenth longest river. The new bridge will make possible direct linkage with China’s One Belt, One Bridge high-speed rail line coming to Tongjiang in China’s Heilongjiang Province. On the Russian side it will link to Nizhneleninskoye in Russia’s Jewish Autonomous Region. The bridge was first proposed by in 2007 by Valery S. Gurevich, vice-chairman of Russia’s Jewish Autonomous Region. 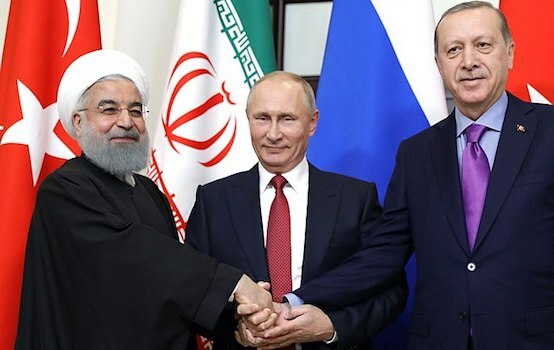 The fact that the Russian side has formally begun construction is a major breakthrough from delays that had postponed the bridge completion until now and an indication of changing eastern priorities of Russia as EU and western economic sanctions weaken Russian-EU ties. In a personal discussion this month at the St. Petersburg International Economic Forum, Alexander B. Levintal, Governor of the Jewish Autonomous Region told me that the bridge will be completed and operational within two years. 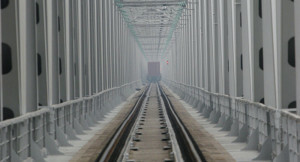 The 2,197-meter-long bridge will require investment of US $230. Its initial main cargo will be iron ore from Petropavlovsk PLC’s open-pit mine in Kimkan in Jewish Autonomous Oblast. The Petropavlovsk mining company will participate in financing the bridge. During President Putin’s visit to China in May 2014, agreement about the construction of the bridge was signed by the Russian and Chinese officials. The bridge will have both a standard gauge (1435 mm) track and a Russian gauge (1520 mm) track. On the Chinese side the bridge is all but complete. The Russia-China railroad bridge is slated to be completed by June 2018. It will become the main economic corridor between China, Russia and Mongolia, as well as for the New Economic Silk Road route across the province of Heilongjiang. These are the less known links that are step-by-step creating the foundations of a new world economic prosperity. In Brussels to date, the faceless bureaucrats in the Ministry of Silly Walking as Monty Python would call it, pretend the multi-trillion Eurasian New Silk Road infrastructure project doesn’t exist. A true error for Europe and the future of its economy.